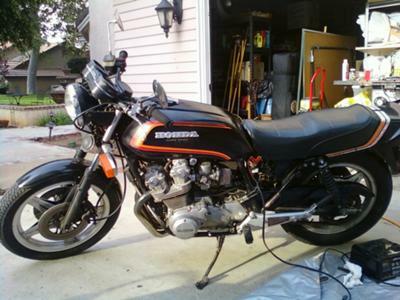 1979 Honda CB750F for Sale by owner. 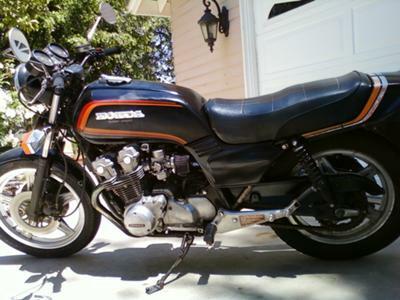 The sharp, little 1979 Honda CB750F for Sale has a eye-catching black, orange and red paint color combo! The Honda CB750F Super Sport has a new battery, new tires, new rectifier, new air filter. The all stock motorcycle's gas tank is in great condition, all the electrical system works in the carburetors have been cleaned and are in great shape. and then shoot me a line if you need more details about the bike. I have been riding it to school and work, but I just bought a truck and I need the money to pay off some bills. This is a beautiful bike and I'll be sad to see it go but since I need money I have to let it go. It would be a great opportunity for a collector of vintage Honda motorcycles to buy it and finish what I've started. It would also be a good daily rider who wants something that is cheap but dependable and in good, running condition. So if you are interested and want to talk price you should email me your questions and offers using the space below that has been provided by GoGoCycles Used Motorcycles for Sale (and PLEASE do not neglect to include your contact information in your email or to provide a phone number or email address if you leave a message!) so that I can respond with answers to your questions or after consideration of your best offer as quickly as possible. You won't find a better looking Honda CB750F for sale on Craigslist or Ebay so hurry and make an offer before it gets away from you! GoGoCycles would also encourage bikers to submit a review of the 1979 Honda CB750F for Sale to make the biker community aware of any problems that are common to this model or to identify its positive features and help potential buyers make informed decisions. 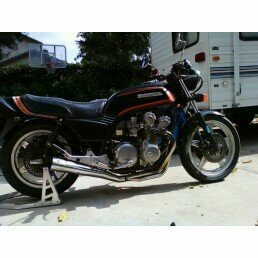 The Honda CB750F for Sale is located in Riverside California CA and priced cheap to make a fast sale! This is a motorcycle that I crashed 30 years ago and want to own one again. The crash changed my life and I have been looking a bike like this to buy for years. is bike still for sale?